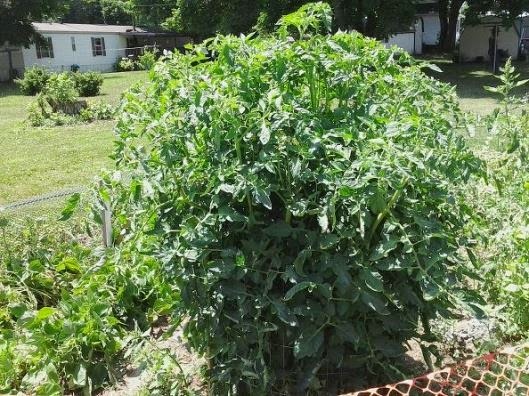 When DIY gardener James Bryan posted these jaw-dropping photos of his tomato plants online, everybody wanted to know his secret. Yet, no-one could imagine that a simple plastic wastebasket could actually accelerate the plant's growth that much! 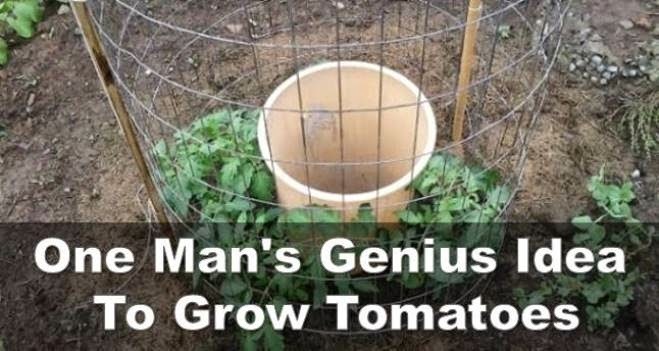 According to Bryan, he "started May 28th planting 4 tomatoes around a garbage can with holes drilled in the bottom rim and a second row up about 10 inches, buried the can to where the top holes just barely were above the ground, put in two shovels full of compost…". Then, he filled up the can with water every 2 days and tried not to water the leaves. 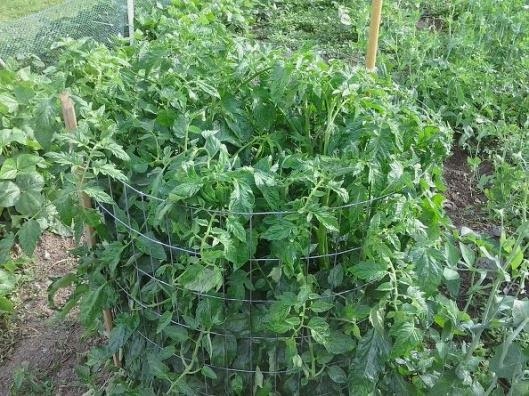 "These four plants are now 5 ft 4 inches in less than a month and a half and loaded with green tomatoes and about a hundred sets of tomato blossoms." This cheap, yet highly effective method that Bryan developed, is based on drilling a row of holes around the bottom rim of the wastebasket, and a second row about 10 inches higher. After burying the can in the ground, the second row should be barely visible above the ground. The wastebasket is then filled with 2 shovels-full of compost. 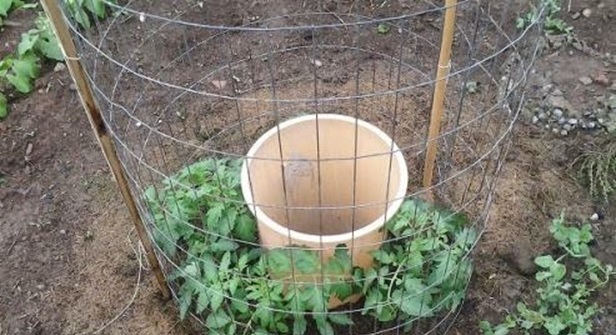 Four tomato plants are planted around the trash can, supported by a metal fence. Every 2 days, the trash can is filled with water. 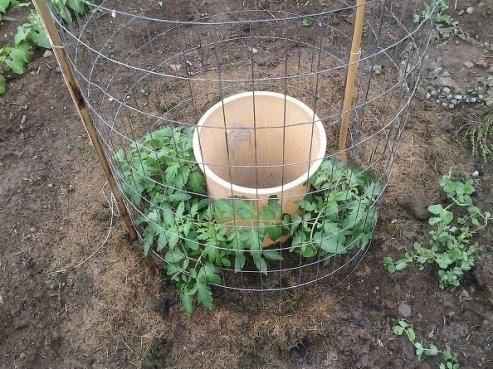 Bryan used a 13 gallon kitchen garbage can to grow the tomato plants above but has since switched to using 5 gallon buckets because they're a lot cheaper and easier to find. Larger cans can be used as well. Just make sure you provide each plant with the 5 gallons of water per week. Go ahead and give it a try! You will be amazed by how quickly and easily the plants grow this way. Let us know your thoughts in the comments section below.